Hot Jazz Productions, Inc is NYC-based presenting organization with New York Hot Jazz Festival, Pangea Jazz Fest (the festival of World Music/Jazz fusion,) and the New York Brass Festival (the festival of brass band music) under its umbrella. 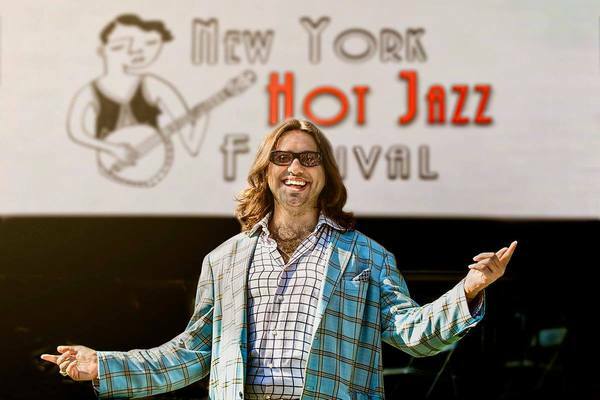 Hot Jazz Productions's flagship festival - the New York Hot Jazz Festival - is an annual New York City multi-stage marathon showcasing traditional jazz from New Orleans hot jazz through the big band swing era, as well as Manouche jazz and ragtime. The Festival was launched in 2013 as a day-long celebration for New York’s hot jazz and swing communities, but has expanded its mission to year-round presentations of and advocacy for traditional jazz through various collaborations and partnerships, including curation and co-presentation of special programs at Central Park SummerStage, Jazz at Lincoln Center, and Symphony Space, as well as curation and hosting of an annual dedicated NY Hot Jazz Fest stage at NYC Winter Jazzfest. The Fest has spearheaded a number of original projects and facilitated in formation of a number of new bands such as Gotham Kings, Gotham SophistiCats, and the Mahogany Hall Pleasure Society Jazz Band.